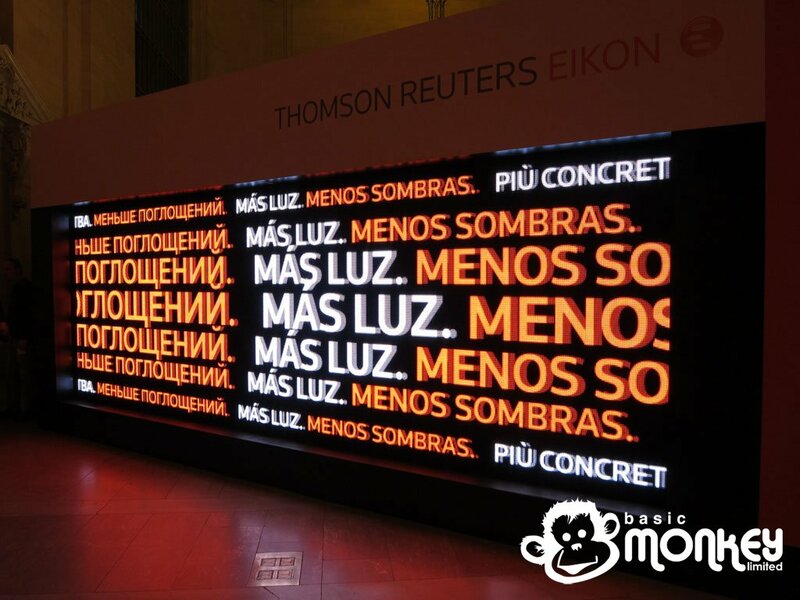 This morning the “LED Room” part of the Thomson Reuters Eikon campaign went live at Grand Central Terminal, New York. 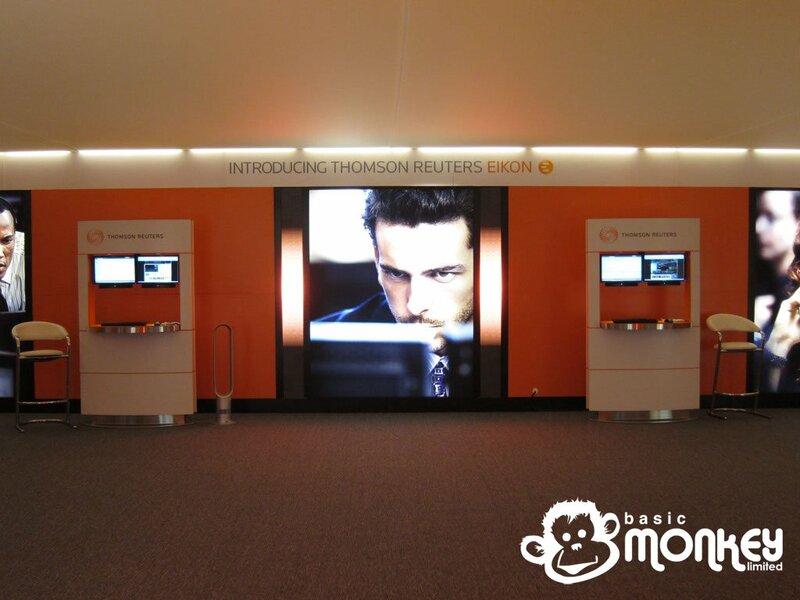 The room is part of the three stage campaign for their new financial services product which was introduced with the “Digital Forest” outside the New York Stock Exchange and it’s opening precedes the live launch tomorrow. Using 3x different LED products from Barco and PixLed, a different style of LED room was created from that in London. Since the passing public would be on one side of the room and generally closer to it than London, two main screens of 7mm F-led product were chosen. These are complemented by an arch of Barco MiTrix over the entranceway to tie in with the ‘Go Live’ event in the same hall. At the back of the room are two O-lite tickers to match those in the digital forest. All this adds coherence to the campaign. The room will be open to clients and potential clients over the next 10 days.